Red Beard is the name behind Canary Islander Jaime Jimenez Fleitas. The musician use Country rock and Southern Rock as the main axis of his music, along with Blues and bits of Folk. From that point and beyond, Red Beard spreads an imaginary world in which the outlaws carry the scriptures recorded in their guts. As Johnny Cash used to do, watching Jesus on fire while meeting the devil itself. 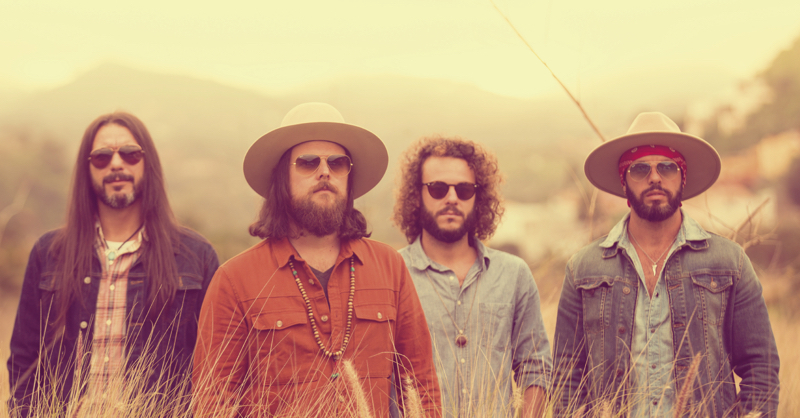 Arid, penetrating and hypnotic sounds are the essence of their three albums: Nobody’s Gonna Bring Me Down Vol 1, and Vol 2 (released in 2014 and 2015 respectively) and “All or Nothin’”. Now a new album “Dakota” is coming, closer to Southern rock than the other ones. Red Beard, releases their fourth album, titled “Dakota’. The band hardens the sound around Country and Western that have accompanied them from their beginnings, with a record that is closer to rock than the two previous ones. Their first three albums, Nobody’s Gonna Bring Me Down I and II and “All or Nothin’ “ defined a first stage of remarkable activity in the history of Red Beard. This new work does not deviate too much from the furrow carved with the previous albums, although the differences, that exist, are perceptible after the first listen. There are still echoes of The Allman Brothers Band and everything that flows in that wide field called Americana music. ‘We wanted this album to have things from the previous albums, like western, and country, although we have leaned more towards southern rock and even towards classic rock, as can be seen in the song Something Real’, explains Jaime Jiménez. This year, Red Beard will keep touring around their country, and visiting the United States and some European countries.